Although you may feel that you’re still firmly in the cold clutches of Old Man Winter, take solace in the knowledge that spring is just around the corner. And with warmer weather comes the opportunity to start – or finish – those construction projects that you’ve been planning. 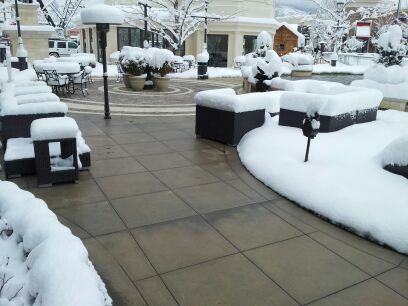 For professional builders, warmer temperatures thaw out the slow winter business and the trickle of work often turns into a torrent, complete with deadlines, demands, and new challenges. 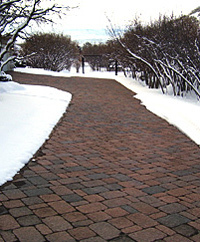 Get a jump on your radiant heat projects by purchasing your materials early. 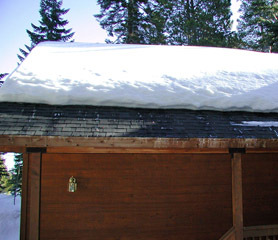 There’s a good chance that you may be able to take advantage of “early bird” discounts on self-regulating roof deicing systems, floor heating, and ClearZone snow melting system components. And if you’re a homeowner, you’re much more likely to find an available installer at this time of the year. Later in the season – during prime construction time – finding a contractor – let alone, the one you prefer – who can accommodate your schedule can be a real challenge. Speaking of contractors and installers, Warmzone maintains a database of experienced, favorably reviewed professionals in your area, so you can be assured that your system is being installed by pros who know about radiant heat systems. And finding these experts early in the construction season is a whole lot easier (and sometimes more affordable) than trying to find one late in the summer. Warmzone is an industry leader, not only because of the quality of our systems, but because of the wide selection of radiant heat systems and our unparalleled customer services. 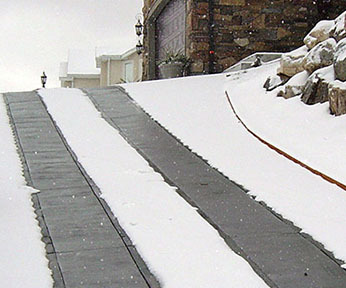 In addition to one of the largest and most diverse selections of radiant floor heating, roof deicing, pipe tracing, and snow melting solutions, Warmzone provides the industry’s most comprehensive service. When you first contact Warmzone, our professionals will learn about your needs and then provide you with information about the options that would be best for your needs. Because we carry several different brands we’re not locked into offering just one or two options by one manufacturer. 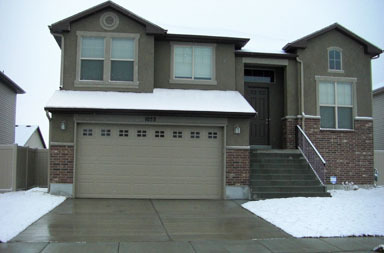 Our experts will carefully evaluate your needs and then recommend accordingly. Free System Design – We can provide you with a detailed AutoCAD system design that not only covers the layout and materials of the system, but also includes all the technical information necessary for your electrician. This information includes proper load calculations, breaker sizes, number of breakers, and so on. You’ll know all the details prior to any installation taking place. Free Installation Training – Warmzone also provides free interactive installation training. This is an invaluable service that can ultimately save a great deal of time and money in the long run. A radiant heat expert will personally cover all the aspects of your installation, and you can ask questions and proceed at a pace that’s comfortable for you. Most training courses take less than an hour, but having this expertise under your belt allows you to install with confidence, and avoid costly or time consuming mistakes. Free Installation Support – Our support staff is also on hand during the installation. If you or your installers have any questions during the installation, these can be resolved simply by calling Warmzone. Our staff will walk you through the process and help ensure the proper installation – and a happy customer. Talk with a friendly professional at Warmzone today and get the ball rolling. Radiant heat systems are easy to customize, and our designers are experienced in designing systems that best meet the customers’ radiant heat needs as well as their budgets. Call and learn more about the many affordable options and Warmzone’s industry leading customer services today at 888.488.9276. You’ve just made an investment in your property and purchased your first state-of-the-art radiant heat system from Warmzone, and you may be wondering, what comes next? Installation is the next step, and the most important when it comes to your new radiant heat system. While purchasing products like a ClearZone snow melting system or ComfortTile radiant heat system assures the quality of your components, the system cannot be effective if installed incorrectly. Without proper installation, your system will not run at optimum levels, which means you won’t see the results you want for your home or business. 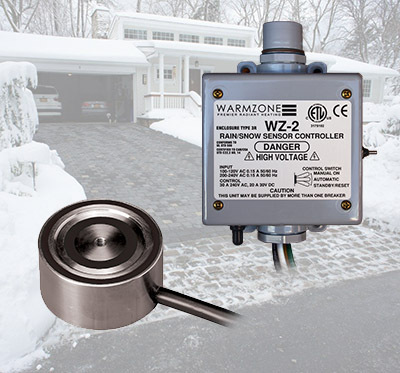 Customer satisfaction is a priority at Warmzone, which is why when you purchase a system from Warmzone you have access to all the tools and help needed to ensure a safe, proper installation. Warmzone’s commitment to customer service and installation support is unparalleled in the industry. The first benefit you receive when working with Warmzone is access to Warmzone’s free professional engineering and design services. This service will help ensure a proper installation as well as save time and money. When purchasing a radiant heat system from Warmzone, you will work with professionals who can answer all your questions and provide you with a personalized AutoCAD for your project. 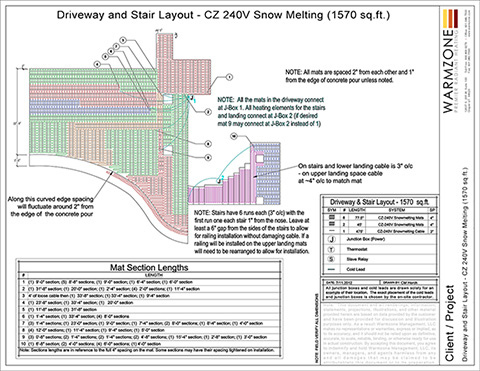 At Warmzone, a radiant heat expert will create your AutoCAD to the exact specifications needed for your project. This allows for a complete design drawing that includes the system layout, projected performance, all materials needed, and power needs. If there are questions about any of the technical aspects of the system, such as number of breakers needed for your project, or the load calculations needed, you will find these on your AutoCAD, or you can contact a professional at Warmzone at anytime. This is an important step in the design process, but even more important for your installation. The information provided can help you or your installer with any questions that may come up to ensure your installation goes off without a hitch. After you have received your system layout and are ready for install, there are a few important things that can be done to assure your installation goes smoothly. We recommend that the installer reviews some of the helpful online instructional videos. Warmzone also provides personal installation training. The installation course is provided for customers so they can complete installation as quickly and as smoothly as possible. There are installation courses available for all of Warmzone’s industry leading products, and helpful installation videos that cover a range of topics. Warmzone’s online training is invaluable for the proper installation of a radiant heat system. Warmzone can also connect you with a qualified installer for your project to further ensure that your system is installed correctly. The next important step for installation is making sure to hire a licensed and reliable electrician. While you can complete much of the installation on your own, you must hire an electrician to complete the wiring for your project (for warranty purposes). An electrician can also verify the amperage available at your home, which will ensure your system will run efficiently and effectively. (This should be the first thing homeowners do.) Verifying the amperage with a qualified electrician and having one available to help finish the installation process will prevent future issues with your radiant heat system. 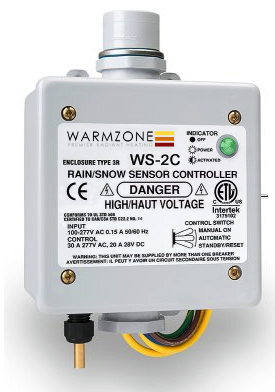 If you have purchased with Warmzone, you know your components are top of the line- but it crucial to complete the installation with a verified electrician to ensure your components will function properly. At Warmzone, the experts know products are only as good as their installation, which is why customer service professionals are available at anytime to assist you during the installation, and can help you locate an experienced electrician for your project. After you have completed your training and verified the amperage for your project with an electrician you can begin installation. 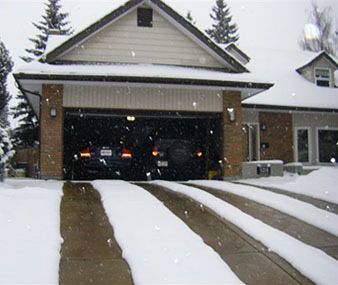 For a heated driveway system, you will have the following components: a heating element (such as heating cable or mats), a control panel, and an activation device. An activation device is an aerial or pavement mounted sensor which detects temperature and precipitation to activate the system when needed. The first step in installation will be laying out your heating cable or mat. While this is not a hard process, there are a few important rules that must be followed. When installing, be sure to never cut or damage your cable. 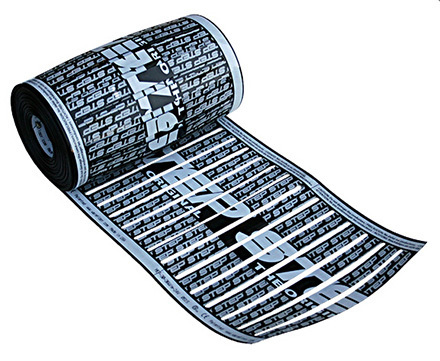 Cutting or compromising the heating cable or mats will ruin the product, and your system will not function. It is also critical when laying heating cable that the cables are not touching, and are spaced according to the layout (usually 3 or 4 inches apart). 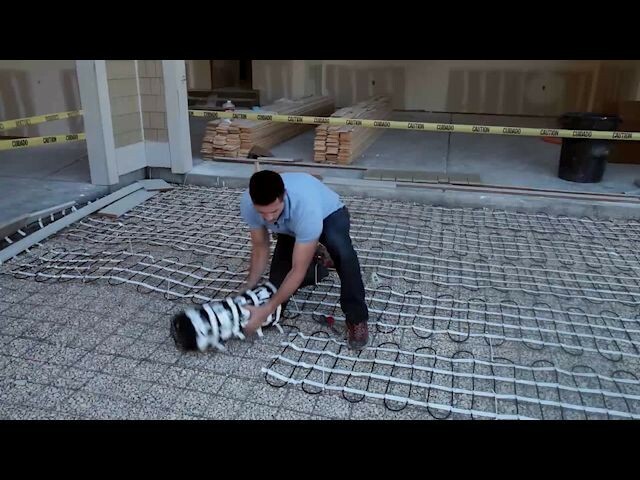 For heating concrete driveways and sidewalks, the cable must be secured to the remesh (with zip ties) that is supported by Mesh-Up plastic chairs for optimum performance. The Mesh-Ups keep the remesh and heat cable from being pushed down to the ground during the concrete pour. 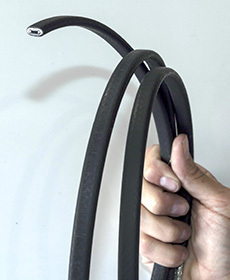 Ideally, the heat cable should be about 2 inches from the surface being heated. When the cable is installed it is important to test the cable during different phases of the installation and make sure it has not been damaged and is functioning properly (refer to installation manual). You have some options when it comes to the snow sensor / activation device. 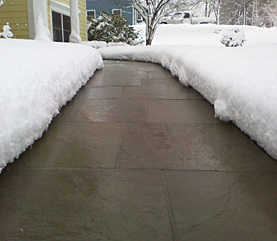 You can install an aerial-mount activation device, typically mounted slightly above the roof line, or a ground-mount snow sensor that is placed in the pavement where it is exposed to the elements. The system is connected to the control panel, which is usually mounted on a wall in the garage. It is important to have a qualified electrician complete the wiring for your system. After this is done, you will be ready to use your new radiant heat system. Warmzone’s customer service is available to you at anytime throughout the installation process. If you complete your online training and still have questions, you can access installation guides online. Professionals are also available to speak with and help you with any questions you may have, or you can check out our blog for tips on installation. When purchasing and installing radiant heat, Warmzone knows the importance of customer support and installation resources available for customers, making Warmzone a cut above in the radiant heat industry. If you haven’t purchased a radiant heat system and are interested, please contact a Warmzone professional at 888-488-9276 and receive your free quote today. Nowadays consumers are not only concerned with saving money, but about doing their part to minimize their carbon footprint and help protect the environment. Perhaps it is these factors that have contributed to the steady growth of radiant heat – in addition to the luxurious warmth that it offers. 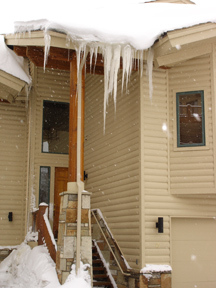 Traditional home heating systems use a series of vents and a blower. While standing over a vent in the winter time can be a nice way to warm up, unfortunately that comfort doesn’t spread evenly across the whole room or last very long. Most of the room can warm quickly, but it cools equally fast. The heated air blown from the vents rises to the ceiling and dissipates, abandoning the floors and lower levels of the home. This is known as stratification – a situation where the top levels of a room are warm and the lower levels are colder, oftentimes by as much as 10 degrees. The cooler temperatures at “knee level” are especially uncomfortable for children who spend a lot of time playing on the floor. Most forced air heating systems use natural gas to produce a flame that heats air. 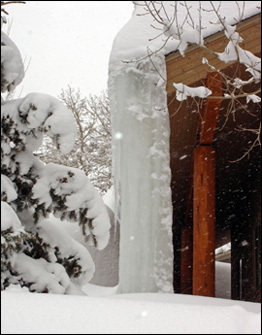 The warm air is then distributed throughout the house through a series of conduits. Some ducts may run through cold basements, causing heat loss in the air being blown from the furnace. In addition to the air cooling slightly as it travels through the house, warm air can also escape wherever there are small openings in the ducts and closed vents. When combined with stratification the inefficiency of forced air heating systems becomes glaringly apparent. Simply put, transferring heat through the air is not an energy efficient solution. Recognizing the lack of sustained warmth and cooler temperatures at lower levels in the rooms, most parents frequently bump up the thermostat to blow more warm air from the vents. This eventually raises the temperature, but significantly raises the monthly heating bill as well. There’s no escaping the fact that a great deal of heat loss occurs with traditional blower systems. And though vents in some rooms can be closed in an effort to drive more heat to occupied rooms, hot air continues to escape, whistling from the closed vents. When the thermostat is cranked high enough the environment can be warmed, but forced air systems are notorious for heat loss and wasted energy. Unlike transferring heat through the air, radiant heat warms a surface directly by expanding out from the heat source. This is the most efficient form of energy transfer. Heat radiates through objects via infrared radiation, warming objects and people in the room. 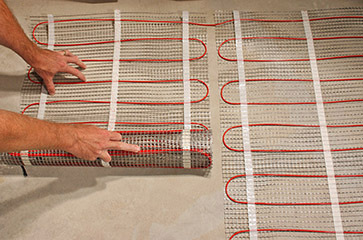 Radiant heat systems offer a significantly more efficient means for heating homes and businesses. In addition to being at least 30 percent more efficient, the floor heating systems provide an even, continuous level of warmth. And since radiant heat originates at the floor, you’ll enjoy the natural benefits of heat rising, minimizing heat loss due to dissipation. 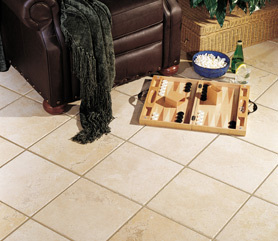 Both electric and hydronic floor heating systems are available. 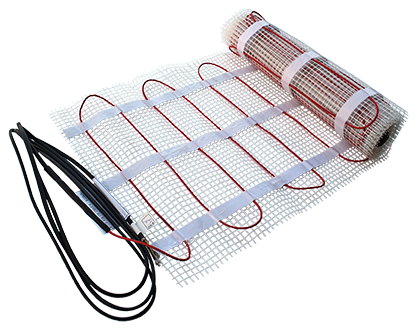 Most electric radiant floor heating systems utilize a network of resistance heating cable that is installed under the floor surface. 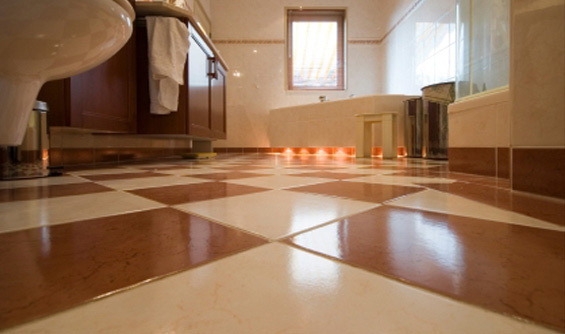 Because there are no moving parts with electric heated floors, the systems are maintenance free. 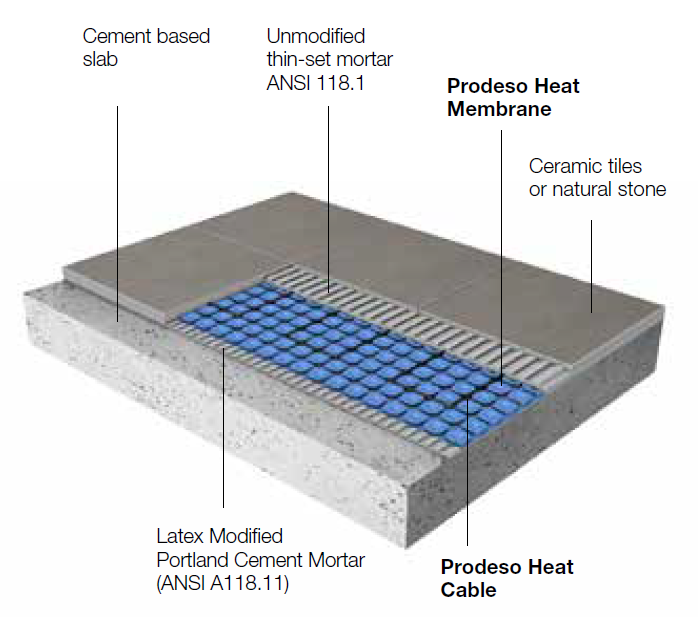 Warmzone offers a wide variety of electric floor heating systems, including ComfortTile heat cable, Prodeso® floor heating systems, FloorHeat STEP low-voltage systems, In-Slab heating, FoilHeat, and FilmHeat/RetroHeat, which is used for both new construction applications and retrofitting existing floors with radiant heat. Visit our Floor Heating Systems Overview webpage. Hydronic floor heating systems with RAUPANELs utilize an efficient boiler to heat specially treated water that is then circulated through a closed loop of PEX tubing by a series of pumps. Hydronic systems require a special ‘mechanical room’ for the equipment. Because hydronic radiant heat systems can operate on natural gas or other fuel, the operational costs may be lower than those of its electric counterpart. But both electric and hydronic systems offer the luxurious and energy efficient benefits of radiant heat.